Finally figured out working with photos on this computer. My "real" computer is kaput. But I have not given up on it. Well, I've sort of given up. Talked to my son about some things to try and I will get around to trying them one of these days. Meanwhile I'm happy to have the laptop. 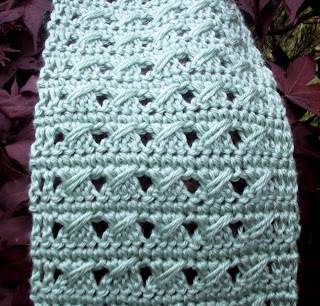 So here is the June Scarf pattern of the month. It's still June, barely. My desktop is kaput and I can barely use the laptop..........so dear reader I will post the June "Scarf of the Month" when I figure out how to upload photos to this computer. 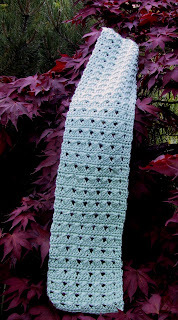 By then it will probably be time to post the July scarf, oh well too hot for scarves anyway. The good news is I had a nice Memorial Day trip to the mountains (the Cascades) and a fun time at the Washington State Samboree.